Valentine’s Day can be a stressful time, whether you’re in a relationship or single. While many believe that Valentine’s Day is a “hallmark” holiday, many others enjoy celebrating this holiday despite the large expense. Whether or not you reside in the first or latter group of thought, here are 3 tips that will make your date (or yourself) happy while staying on track with your budget this upcoming Valentine’s Day. In a world where everything is about convenience and that can sometimes mean impersonal, sentiment and personal goes a long way. This means homemade cards or hand-written letter, homemade dinner, homemade scrapbooks, etc. If you’re worried about it appearing “low budget”, it’s easy to complement a store bought gift with something you made for that added “wow” factor. Don’t have a date? That just means there’s more homemade cake for you to enjoy. This one might be obvious, but many people only associate Groupon and websites like it with cheap vacations and discounted goods/fitness classes. With careful planning, you could use Groupon for your entire Valentine’s celebration! 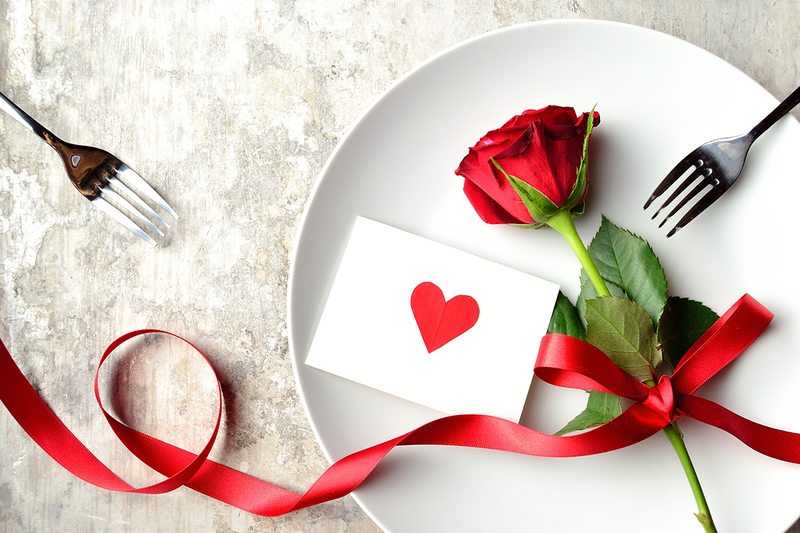 Offering discounted prices on expensive restaurants and Valentine’s staples such as flowers, Groupon can help you treat your date (or yourself) to a special time. Some things to keep in mind as you plan a Valentine’s celebration are expiration/active dates, the fine print and rules that apply to all Groupon deals. This day is the perfect alternative if you’re looking to save money, spoil your date and avoid the post-Valentine’s financial regret. On February 15th all Valentine’s Day candy, cards, stuffed animals and all things of the like get steeply discounted as retailers try to move them off their shelves. Don’t have a date? As the official “National Singles Awareness Day”, there’s no better way to celebrate than with delicious sweets and savings up to 65% off! Are you ready for Valentine’s Day? With a little planning and creativity, you can enjoy a special celebration without the hefty price tag. At Pentucket Bank we offer a full-suite of Online Banking services and deposit accounts that can help you stay on track with your financial goals. We are a local bank with branches in Haverhill, MA, North Andover, MA, Salem, NH and Hampstead, NH. Send us an email or call us today at (978) 372-7731.